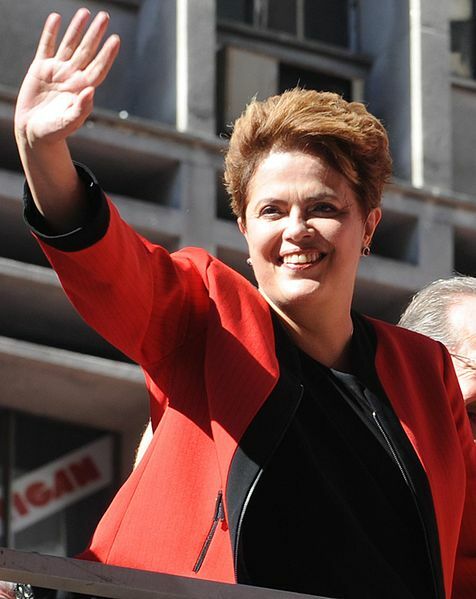 Dilma Rousseff, next President of Brazil – and former terrorist. So what? Brazil goes to the polls on Sunday, for everything from state deputies to the presidency. As a horse race, the Presidential election has no interest. Dilma Rousseff, LulaÂ´s protÃ©gÃ©e, has been at around 50% in the polls for a month and will be the next President of Brazil. ItÂ´s beginning to look as if she wonÂ´t get an absolute majority and there will have to be a pro-forma run-off against the conservative JosÃ© Serra. Marina Silva, LulaÂ´s former environment mimister who resigned in protest at having been sidelined by the development lobby and is running on the the Green ticket, will come a gallant third. Since sheÂ´s both glamorous and credible, her coat-tails may carry some Greens into office at state level. CandidatesÂ´ websites (not linked to on the Wikipedia page: Rousseff – the most professional -, Serra (whereÂ´s the programme? ), Silva. RouseffÂ´s platform is simply Â¨more of the sameÂ¨. LulaÂ´s term of office has reduced the number of Brazilians in poverty by 20 million; the economy is booming, inflation is below 5%, rich and poor are all doing well – rather to their surprise. 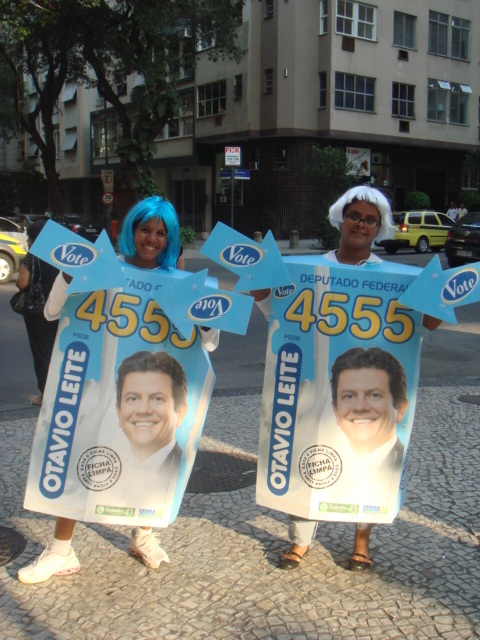 Dilma is running as LulaÂ´s Cincinnatus, and will win because of, not in spite of this. Dilma Rousseff will be an awkward interlocutor for the US, as sheÂ´s indubitably tough and nationalist, without LulaÂ´s folksy charm. Any Brazilian leader worth the name would be assertive; Brazil is an emerging power, and knows it. More interesting, sheÂ´s a former terrorist: a member of the select club of democratic democratically elected [quiet-life update] politicians that includes Menachem Begin, Yitzhak Shamir, Jomo Kenyatta, Ahmed Ben Bella, Eamon de Valera, and Martin McGuinness. Flashback. Brazil endured the rule of military juntas from 1964 to 1985, even if these were pretty moderate and inclusive from 1974. RousseffÂ´s class background is close to SerraÂ´s and very different from LulaÂ´s and SilvaÂ´s humble origins: but her prosperous middle-class father was a a refugee Bulgarian Communist, and she imbibed Marxism in the cradle. So as a young student in the late 1960s, while Lula and others were dangerously organizing peaceful strikes, she joined (co-founded?) the Comando de LibertaÃ§Ã£o Nacional (COLINA) in 1967. This was one of several militant grouplets inspired by the charismatic fanatic Carlos Marighella, the French Marxist RÃ©gis Debray, and of course Fidel Castro. COLINA later merged with another group forming the Vanguarda Armada RevolucionÃ¡ria – Palmares. After a career of successful bank robberies and failed kidnappings, her group was broken up in January 1970. Dilma was tortured, and held in prison till 1973, but never put on trial. For the record, Dilma claims now that she never took part in violent acts. This is economy of the truth; her role seems to have been quartermaster, not gunman. It should also be noted that the assassination in October 1968 of Captain Charles Chandler of the US Army was carried out by a different subgroup and SFIK Dilma had nothing to do with it. They claimed he was a CIA agent; the CIA is quite stupid enough to have signed up an overt exchange student as a source, but he surely canÂ´t have been an agent runner or torture adviser from the creepy School of the Americas. The Brazilian rich are made of sterner stuff than wealthy American crybabies, who have unfortunately forgotten what serious left-wing hardliners are like. They seem completely relaxed about the prospect of Dilma in power. And why not? Even supposing she is still a true believer at heart, far-left adventurism was a flop and Menshevik gradualism is working just fine. More likely, she has changed her mind, grown up, or sold out (take your pick). Either way, she will follow social democratic policies, which just happen to be an okay if imperfect scheme anywhere, a Microsoft of politics.Â The latest campaign headline even showed Dilma cosying up to religious conservatives on abortion (still technically illegal here) to score a surely unnecessary point against Marina Silva. I would have thought that a muscular line on redistributing banking superprofits would go down well today, but itÂ´s not part of the pitch. Americans and Brits should be relaxed about DilmaÂ´s colourful past too, and be more worried that she is soft on protecting the Amazon, on jobs-first grounds. Try to get her annoyed at Chinese manipulation of the yuan exchange rate depressing Brazilian manufacturing. A theory of the just rebellion is just as difficult as one of the just war. (See Harrington, supra.) The criteria are parallel – just cause, proportionality, a decent chance of success – but all these are hard to assess. The only simple red line in both is not targeting civilians, and the Brazilian leftists did not SFIK cross it. They had, as it turned out, no chance against a half-way competent White repression, and itÂ´s hard to argue that the rule of the Brazilian generals was bad enough for ordinary people to justify a forlorn hope like the Warsaw Ghetto rising. Also, if by a miracle they had suceeded, their rule would not have improved matters much (cf. Cuba). Lenin was generally right, from a revolutionary point of view, to excoriate similar violent Russian revolutionary groups as romantic infantilists. To the extent that it became a serious theoretical embarrassment to the Soviet rÃ©gime that in fact, in the very peculiar circumstances of autumn 1917, the Bolsheviks came to power by an armed putsch by a handful of militia not a mass uprising. Remember the great scene in EisensteinÂ´s October when the crowd storm the Winter Palce? Never happened. I recall that PontecorvoÂ´s fine film about the Battle of Algiers also ends with a Marxist happy end in the form of a fictional mass uprising. I'll grant you Yitzack Shamir and Menachem Begin in a pinch, but I don't think that Ben Bella was ever a Democratic politician. Also Kenyatta allowed mps and even ministers to be voted out, but he didn't run any risks in elections. Under Kenyatta there was only one legal party in Kenya. Winning an election is not enough to make one a democratic politician Godwin alert Godwin alert Godwin aler. I'm sure the Rousseff is a democratic politician who will win an election. My comment on history is a comment on history. There is this odd fashion that has come into play since Sept. 11 that paints anyone involved in armed resistance to tyranny as a "terrorist." I have to ask, was George Washington a terrorist, too? It seems far more appropriate and accurate to label, if we must label, Ms. Rousseff as a "former guerrilla." Dear Mr. Wimberley: The scene at the end of The Battle of Algiers is not made up. There were large demonstrations in Algiers and other cities at the end of 1960, coming as a surprise to both the French and the FLN. They helped convince DeGaulle he was right to want to leave Algeria. JMG: I´m indebted to you for the correction. But I´m not convinced the demonstrations had the decisive weight that Pontecorvo implicitly puts on them. De Gaulle decided to throw in the towel because (by my recollection of Alastair Horne´s history) while the French Army had defeated the FLN in narrow military terms, French rule had completely lost legitimatacy in the Arab and Berber population. So the war would have to go on for ever, putting republican institutions in France at ever-increasing risk. Banks are noncombatants, so Dilma´s bank robberies were terrorism, even though nobody got killed. Soldiers on leave are noncombatants; Capt. Chandler was a noncombatant, but not a civilian. Here the distinction between terrorism and rebellion disappears entirely. Rebels who threaten loyalists and neutrals to get funds and silence – I´m sure this happened in the American Revolutionary War – become terrorists. Weren´t Iraqi insurgents attacking armed US soldiers so described? Popularly, a guerrilla is a terrorist you approve of. "Popularly, a guerrilla is a terrorist you approve of." Well, if we all agree that one's own terrorists are a good thing, then getting hung up on terminology is kind of pointless. And the term "terrorist" is just about as useful as calling somebody a Nazi. I guess I was put off as much as anything about the fact that it's rather hard to judge at this remove the actions of someone else in the past — and calling someone is a terrorist when it is such a loaded term in the present seems rather unfair, except as an opinion. Brazilians seem to be over Ms. Rousseff's past. And in the big scheme of things, it's sad to say that George W. Bush's activities during the 1970s did not receive more consideration by American voters. I guess I'm not particularly concerned about what I've heard about her past, while his past seemed much more applicable to what the 8 years of his administration wrought. I guess after she's had a chance to perform, we can compare notes. I kind of think that Brazilians will do better in choosing her, than having W imposed on us did.